Retiring U.S. 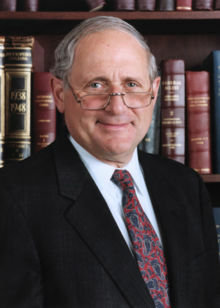 Senator Carl Levin, scourge of offshore abuses. Who will fill his shoes? It’s the classic case of the tax haven ‘captured’ by financial interests, in this case from the very beginning. It also illustrates once again how the offshore world isn’t a collection of free-floating entities, but a set of dependencies nurtured and protected by the most powerful and wealthiest élites in large and powerful countries, which use these places to shake off the responsibilities of societies in which they operate. Two days later, he had registered a company called Seabasstian Consulting, named after his daughter’s pet fish, managed by Medellin Cartel Successor Entity. In the United States, if there is one person who has been fighting against these abuses more powerfully than anyone else, it is the indefatigable Senator Carl Levin, who has drafted endless legislation to crack down on offshore abuses. His work has been blocked, time and again, by offshore financial interests. And now, unfortunately, Levin is retiring from public service.